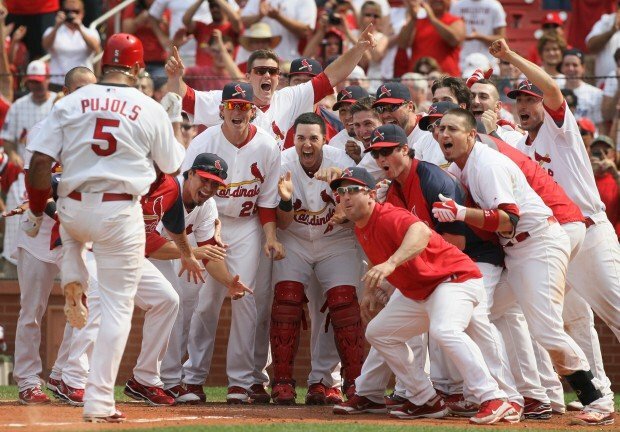 Even if you are not a fan of professional baseball, you cannot help but stop and watch the highlight of the long home run that gets people talking. The same is true of marketing. You may not care about Widgets R Us. However, when tweets and blog posts begin to appear about a steep upward trend in sales since the release of their latest widget and then rumors begin to surface that Google, Inc is in talks to acquire them…well, you sit up and take notice. You cannot help but pay attention. They’ve hit a marketing home-run, having found the the keys to converting prospects into buyers and turning those buyers into repeat buyers and raving fans. Crack! You’ve hit the ball…made the sale, but now what? 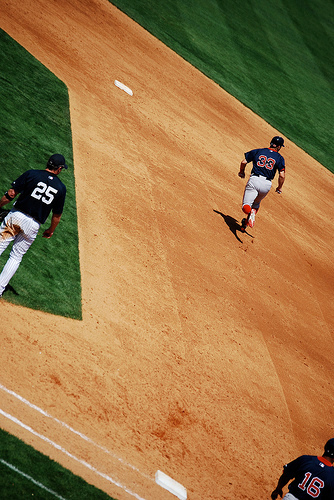 Having the vision to see beyond making the sale is paramount to hitting a marketing home run. It is moving past the idea of “customer service” and really “serving your customer,” because Retention Marketing is all about creating and maintaining customer loyalty, continuing to build and maintain the relationship you have established during the sales process. 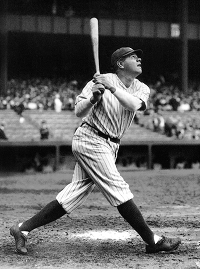 Here are the 5 steps you must master to become a marketing home-run hitter and Retention Marketing all-star. In bygone days, when people frequented their neighborhood grocery, butcher or baker, they were called by their name. They knew if there was a problem, all they had to do was call or stop by and Sam, the butcher, would make it right. They knew, without doubt, that Joe, the baker, would always throw in that extra cookie to make the “baker’s dozen.” It was about neighbors doing good for their neighbors. That relationship was affirmed in the natural flow of daily life and business. Whether you are selling widgets, watches or wisdom, a relationship was established prior to the purchase. The importance of affirming that relationship cannot be overstated. We all like to know where we stand in a relationship, don’t we? So, that affirmation must be delivered with immediacy, clarity and consistency. Ever heard of Aweber, Constant Contact, Infusionsoft or MailChimp? These are just a few examples of the tools available to make immediate, automated follow-up possible for businesses of any size. Similar to lead-nurture, timing is a concern to be addressed with retention follow-up. For example, Jim Smith just purchased a widget from widgets-r-us.com. After completing the purchase, an immediate order confirmation was sent, thanking Jim for his patronage. A few hours later, Jim receives a “personal note” from Barbara, welcoming him to the Widgets-R-Us family, providing her personal contact information if he should have any questions or concerns. This note included a commitment to follow-up when she received confirmation that his widget was delivered. Upon delivery confirmation, Jim receives another note from Barbara. This note includes links to an instructional video for widget use, links to FAQ and another invitation to follow-up by phone if he had questions or concerns, and by the way, Jim, we would like to keep you updated, would you like to receive our monthly widget news…and so on. (This was all automated). More than an order confirmation, your customers need you to restate your commitments to them. Your initial follow-up with your new customer should always clearly state your desire for them to be more than satisfied, including guarantees of quality and performance that are not filled with legalese and loopholes. Your commitment and loyalty to them should never be left in question. In the example above, Jim has heard clearly that he is valued as a member of the Widgets-R-Us family. Your customer may not always be right, but they should always be number one. That should be communicated with consistency throughout any follow-up. Double-opt-in e-mail campaigns are not just a good idea for legal reasons. They also create a sense of security in the mind of your customer in this age of spam and the perceived threat to their personal information on-line. The metrics available to us have become so sophisticated we can deliver targeted content that will give our customer the sense that we are anticipating their needs. I recently had a dispute with a client who had hired me to do some freelance work through a well-known freelance web site. I had delivered work-product that satisfied him, but he had decided to move in a different direction. Our dispute was over whether I owed him a refund or not. To make a long story short, the site has failed us both in the promised role they were supposed to play in coming to an amicable resolution to our dispute. As a customer, I feel slighted and deceived. I believe they have failed to follow through on commitments they made to me when I signed up. Everyone despises a hypocrite. Customers who perceive they are being neglected, mistreated or deceived will not become the repeat customers you want, nor will they become the raving fan evangelists that you need. Do not make commitments you cannot keep…or do not plan on keeping. The litigious society in which we live seems to demand escape clauses and loopholes. I believe we must return to the “say what you mean and mean what you say” days of business. Companies that have taken that step are succeeding and thriving, where others may be failing. A commitment to Second-Mile Service has led Chik-Fil-A to become one of the fastest growing quick-serve restaurants in the USA. Personally, I believe more businesses can benefit from that lesson. The common thread of every Retention Marketing strategy or innovation must be thankfulness. I know, it probably sounds a little naive or corny, but it will carry the relationship you are attempting to maintain across home-plate over and over again. What better way to say, “Thank You!” than with a gift of some kind. A token of appreciation makes an impression. I recently had a short FREE phone conversation with someone, providing a reference for an associate. I was glad to spend some time helping this individual see the value of what my friend was offering her, in the short and long-term. A few hours later, I received an e-gift card to Starbucks for $5 from this lady. She wanted to express her gratitude for giving of my valuable time to answer her questions. That made an impression on me. Everyone loves to receive gifts, especially when they are unexpected. Giving the gift of a discount for participating in a survey is a great way to increase participation. Offering a gift card for a referral is actually a high ROI method for increasing your customer base. An unexpected bonus thrown in the box with a product being shipped to a customer will make a lasting impression, especially if that item is useful or related to the item being shipped. Direct marketers are masters at the bonus item. It is often a low-cost way to increase conversions, repeat buyers and referrals. Never lose sight of the fact that this “loyalty program” we call Retention Marketing is about a reciprocal relationship. As you affirm the relationship, follow-through on your commitments and give, you are gaining trust and reserving permission to ask your customer to reciprocate. In fact, most customers EXPECT and even WANT to be asked. Years ago, Seth Godin said that content must be EXPECTED, VALUABLE and RELEVANT. If you have done your job well, your customer is neither offended or surprised when you ask them to purchase or promote. To this point, you have made every effort to build loyalty, rather than buy it. You have provided added value and relevant information in all of your communication. You have fulfilled the customers expectations. It’s time to close the deal again. Ask them to buy. Ask them for referrals. ENCOURAGE them to participate in this continued relationship. Every plan, every strategy, every innovation…every breath in business requires results. 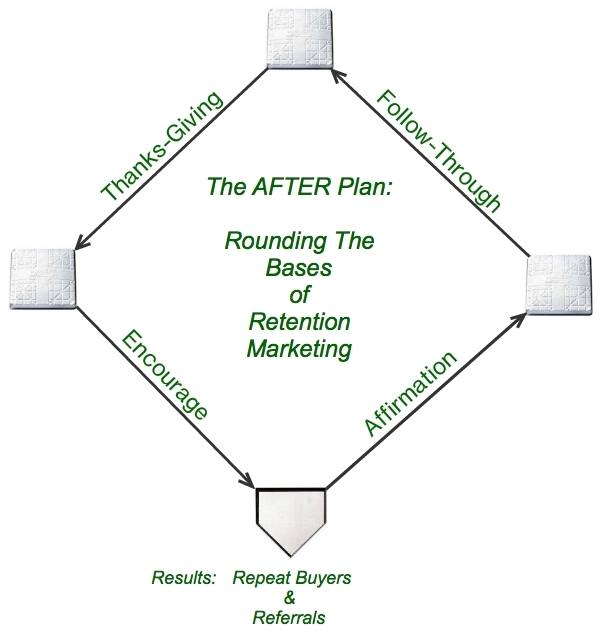 The result of a well-executed retention marketing plan is repeaters and referrals. Then, as is the case with every good system, you repeat the process and continue to realize the benefits. Ultimately, Retention Marketing is about leveraging your position and serving your customers in such a way that makes it easy for them to choose you over and over again. That is the secret of the marketing home-run hitter. That is the key to Widgets-R-Us runaway success that is receiving so much attention. They have built upon an established trust relationship and are reaping the reward. James St. John is founder of St. John Marketing Solutions, offering 100% accountable, high ROI, and targeted marketing solutions to any sized business. Visit us at http://www.stjohnmarketingsolutions.com.